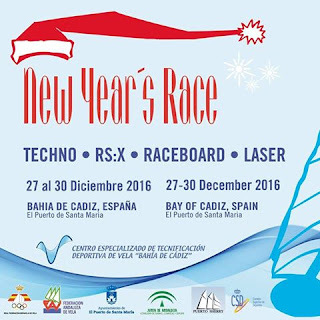 The New Years Regata has been annouced and theis popular event will take place in the Bay of Cadiz from the 27th December 2017 and run until the 30th December. 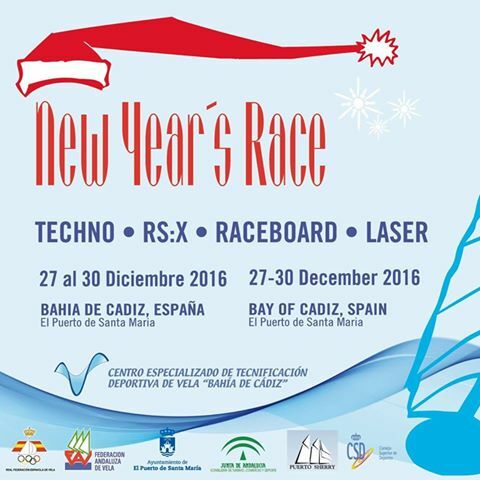 Puerto Sherry will host the international event which includes the classes of Techno, RS:X Raceboard and Laser groups. Jerez is the Flamenco capital of the world, Flamenco is said to come from Jerez de la Frontera. The arts of flamenco can be enjoyed in many of the Peñas Flamencas in Jerez and if you are lucky enough to be in Jerez during February you can enjoy the Festival of Jerez which is a two week internationally aclaimed Flamenco festival with flamenco played and danced in many venues around the city by the top Flamenco singers and dancers.The whole city is alive with the sounds of castanets and the stomping of heels. As well as colourful shows with singers, guitarists and dancers, the Jerez Flamenco Festival also features dance courses, concerts and exhibitions. The festival starts on the 25th February until the 12th March 2011. Make a point of visiting Jerez during these dates to enjoy all the events . Jerez is also famous for it’s equestrian events, dancing horses, sherry wine, sherry wine making bodegas, and its unique blend of elegance and charm. Jerez's best features are the endless days of sunshine even during the winter months temperatures rarely fall below 20 degrees. The Andalusian Olympic Week - Carnival Trophy Regata 2011 is to be held in El Puerto de Santa Maria in Puerto Sherry Cadiz. The beach of Puerto Sherry in El Puerto de Santa Maria, Cadiz will host the Windsufing event on the 24th to 28th february 2011. The windsurfing and sailing event is hoped to attract over hundreds of participants from all over the world for this event, with a high standard guaranteed . It will provide great surf and sail entertainment. We offer apartments rentals for the Grand Prix in Jerez in El Puerto de Santa Maria, Cadiz. Apartments, flats and villas in the beautiful Puerto Sherry residencial complex with 24hr security overlooking the Atlantic ocean and only 15 minutes from Jerez. Holiday homes with garages ideal for motorcycling fanatics from 1 to 4 bedrooms. Don't be disappointed book well in advance. Semana Santa (or Holy Week) is the Spanish name for Easter. It dates back to the 16th century when the Church decided to present the story of the Passion of Christ in a way that the layperson could understand. It was decided that the best way to do this would be a series of processions through the streets, depicting scenes from the story of the fall and rise again of Jesus Christ. When do the majority of activities take place? The biggest procession of the day is usually at about 11pm. In Toledo the main procession of the day will often be be named after the day it is held on - so, for example, the main procession of Miércoles Santo (Holy Wednesday) will be the 'procesión de Miércoles Santo'. Friday is the big day. The events from Thursday evening never really stop, with processions from Thursday night (the early hours of Friday morning) until Friday evening. Unless you have an excellent capacity to drink large quantities of coffee, you'll have to miss some of it to get a little beauty sleep. The events of Thursday night/Friday morning are the most important, so plan your sleep around this fact. Semana Santa is an outdoor event - rain is bad news. With many of the floats very old and easily damaged, processions are called off with even the slightest drop of rain. Those involved are bitterly disappointed - they've waited all year for this. If rain is forecast, stay away, there'll be nothing to see. 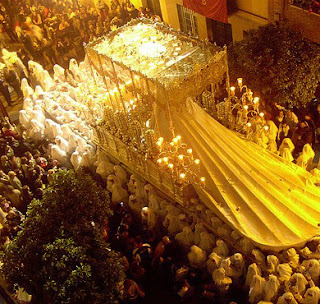 A saeta is an element of Semana Santa particular to Andalusia and specifically Seville. It is an outburst of flamenco song, sung from one of the balconies in the narrow streets of the city. In times gone by they were spontaneous, the singer so overcome with emotion that only a flourish of flamenco will be enough to convey their emotions. Today, they are invariably preplanned. The procession will stop and listen to the song until it is over. 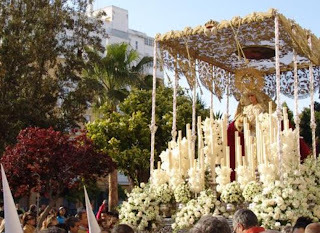 Accomodation is available for Semana Santa in El Puerto de Santa Maria it is avisable to book in advance as this is a popular time to visit Andalusia. 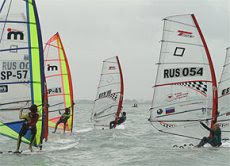 The Windsurfing RS:X Class Association announced last week that the RS:X World Championships will be staged in the Bay of Cadiz in Puerto Sherry in El Puerto de Santa Maria from March 20th to 29th in 2012 . "We are delighted to be hosting the RS:X Worlds in 2012 . 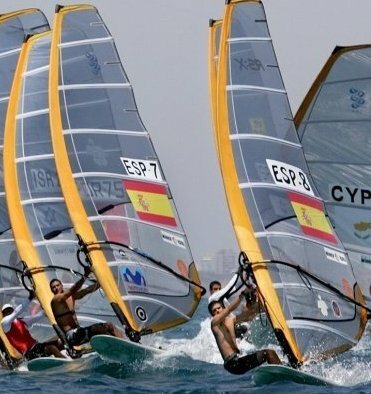 The Andalusian Sailing Federation has always been totally committed to supporting Olympic windsurfing "
This event is set to bring teams from all over Europe to Puerto Sherry to compete in the Atlantic waters of the Bay of Cadiz which has excellent wind conditions for this sport. The RS:X Worlds will be staged in the Bay of Cadiz in 2012 a year when Cadiz celebrates its bicentenary celebrations. Almost 200 years ago in Cadiz Andalucia Spain the cortes (courts) passed the first Spanish Constitution, popularly known as "La Pepa". Cadiz has numerous cultural bicentennial events related to the 2012 set to take place. The tall ships Grand Regatta on the 26th July in Bay of Cadiz as well as a cultural fair which, over a period of months, will bring Latin America to the city. Teams coming to compete in this event are advised to book accomodation well in advance especially as 2012 is a busy year for Cadiz. 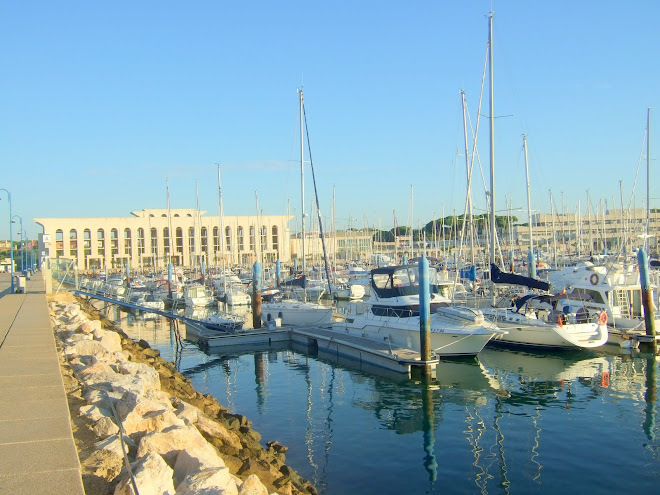 We have accomodation in apartments and houses for rent within the marina complex ideal for teams and families.